Day Charter Rates from $10,000 for up to 8-hours, plus expenses. Please inquire for details. Cuba Rate: $65,000/wk + expenses. Cuba Holiday Rate: $71,500/wk + expenses. Rates are plus expenses, insurance and processing of all related travel documents. (Please allow up to 3-4 weeks prior for processing). Captain Jonathan Brunold holds a USCG 500 Ton Captains License and a Third-generation Swiss hotelier. Jon enjoys speaking to MONI guests from around the globe to assist in planning their incredible adventure aboard our 107’ Vicem. Jon was born in West Palm Beach, where he grew up as the General Managers son of various luxury resorts from Bahamas, Miami, Boca Raton, Australia, Sanibel Island, to California and onto marlin fishing capitol Kona Hawaii. Jon graduated from Swiss Hotel School and a Le Cordon Bleu in Australia. Jon is not afraid of the galley to help chef filet and serve fresh fish that was caught on a late afternoon fish in our 32’ Pursuit Tender. The yachting industry snatched him up in the late 90’s in USVI, this is where Jon found the floating resort life more rewarding and since then he has been all over the world on yachts of all sizes. Jon clearly knows the Bahamas and enjoys kids of all ages. You will see Jon enjoys helping guests catch their first fish, passing the fishing line off to a thrilled guest to experience a Mahi-Mahi or Tuna fight, or taking you out for Spear Fishing. Jon loves taking the time to include you in the incredible experience of daily life here aboard MONI exploring a private sandy beach, whale bones or feeding sharks, rays, iguanas and/or swimming pigs on the beaches in the Bahamas. Dimitri joins us from Regensburg, Germany though originally from Macedonia. He followed his desire to travel and work on the water to Fort Lauderdale, Florida where he has begun a career in yachting. 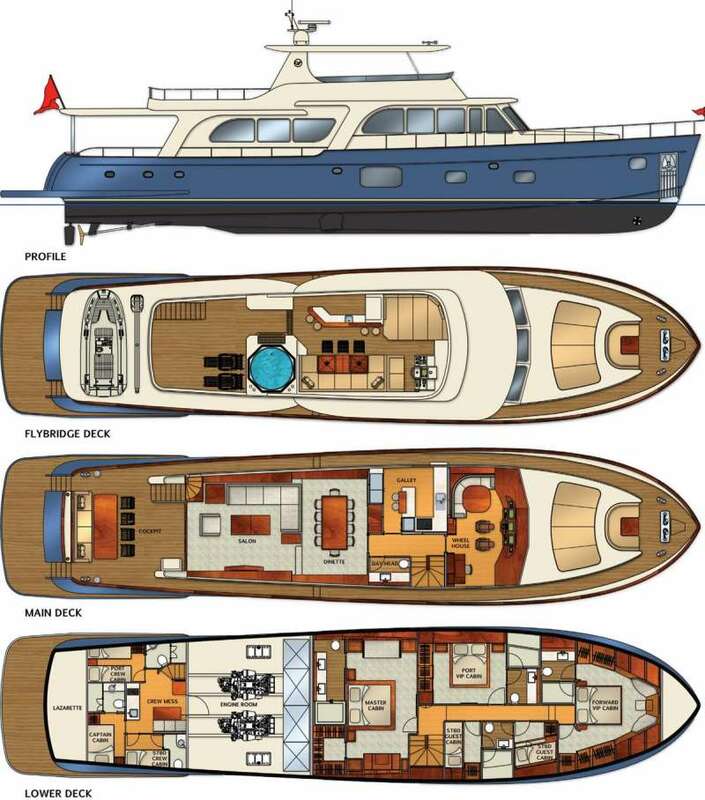 Dimitri has worked on multiple yachts ranging from 80' to 154'. Starting as a Deckhand, on to 2nd Engineer, Mate, and he now holds his 200GRT MCA Captains license. He continues his education annually, upgrading his licenses as well as staying up to date on safety. Dimitri has enjoyed his experiences working on many charter yachts, where he always aims to please and provide guests with an exceptional time. He enjoys water sports with guests, beach set-up, and traveling by tender to remote locations. Dimitri's travels include many islands in the Caribbean, the Bahamas, New England, and South Florida. When Dimitri's guest duties are complete you will find him spending time with his family, watching soccer, or playing Frisbee with his Australian Shepard, Charlie. Amy comes from the "City of Tree's", California's capital, Sacramento. Amy had worked as a highly skilled Esthetician and Makeup Artist for well over a decade. She owned a skin boutique in downtown Sacramento where she created quite a following amongst her clientele. During a weekend trip to her favorite city, San Francisco, Amy was inspired during the Americas Cup to check out life on the water. 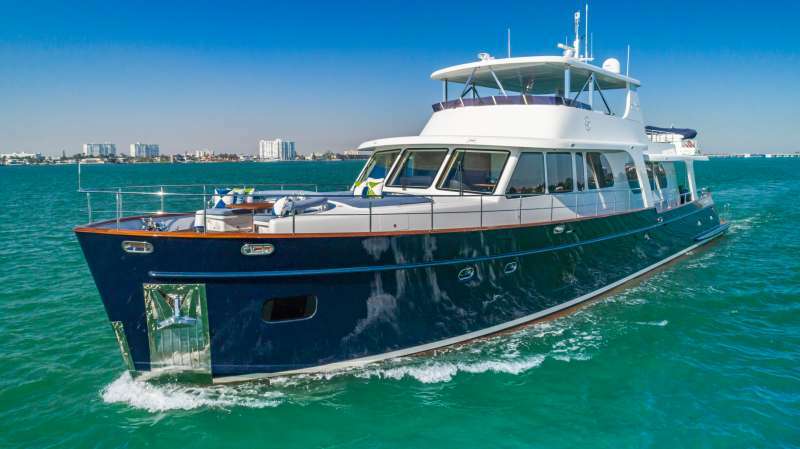 Her love for adventure and travel redirected her to sunny Fort Lauderdale, where she has begun a career in yachting. Amy's passion has always been beauty. So it didn't take long to see that her keen eye for detail and endless ideas of creativity proved her to be a natural in the industry. Amy loves people and aims to please. Whether it's her welcoming smile or her professional pose, she will guarantee a splendid holiday for you. Amy's travels have included the beautiful harbors of New England, the Hamptons, the Bahamas, and the many islands of the Caribbean. She looks forward to sharing her newfound discoveries on the water with you! Selcuk comes to us from Bodrum, Turkey, south of Istanbul, the country where his love for the outdoors and his passion for boats began. Selcuk has followed in his family's tradition of sailing, and learning from a young age the need for hard work and the appreciation of these beautiful vessels. All four brothers are active Captains. Selcuk has been with MONI, since its launch in 2012 making him a key asset to the crew. He knows the vessel inside and out, and besides standing as the onboard Engineer he also hold his 500GRT Yacht Master as well as his 200GRT MCA License. Selcuk has traveled many islands in Greece, Italy, France, The Bahamas, and the Eastern United States. When Selcuk is not onboard you will find him face timing with his family, watching a soccer game, or enjoying a kabob. Katy joins us from Gilford, New Hampshire where she brings her energetic, friendly, and imaginative passion for creating ethnically inspired meals with a familiar western twist. Katy received her degree after spending four years studying culinary arts at Johnson and Wales University. She then studied Pan-Asian cuisine in Singapore and in the north of Thailand. This is where her love for Asian inspiration comes from, however she gladly welcomes diversity into her cooking styles where she can cater to your specific palate or diet. When Katy isn’t working aboard, you can find her outdoors enjoying activities such as skiing, horseback riding, water sports, and exploring. Katy’s passion for travel has not only broadened her horizons in the food world, but it has also guided her in the direction of working aboard MONI.